The Planet Mark™ is a sustainability certification programme that recognises commitment to continuous improvement in sustainability and reducing carbon emissions. By becoming part of the programme, Eight Associates has pledged to measure carbon footprint and environmental performance, and will continue to engage with various stakeholders to drive improvements forward. 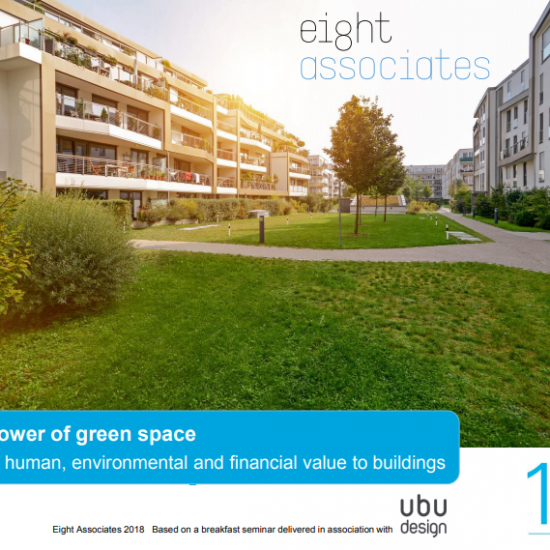 Eight Associates started recording its carbon footprint in 2012 and set a target to reduce its CO2 emissions by 5% annually. 31.5% total carbon footprint reduction. 18% reduction in electricity emissions. 61% reduction in business travel emissions. Going forward into the 2018/2019 reporting years, we will continue to comply with our commitment of 5% annual reduction in emissions. This equates to a total target reduction of 0.2tCO2 and a per-employee target of 0.01tCO2. To achieve further improvements, we have started to implement some additional steps, recommended by The Planet Mark™. These include increasing the frequency of our collection of emissions data and investigating the installation of a real-time energy monitoring system. We will continue to run energy audits to identify potential wastage from equipment, and also review the possibility of alternative heating controls and lighting with our landlord. We are lucky to have a highly engaged team here at Eight Associates, and will continue to encourage feedback from staff regarding their ideas and requirements within the office.